Work process starts with creation of Model - PHP class for managing SQL table. Fields of the model have different data types based on principles of web development. After PHP class and SQL table are ready, an interface becomes available in Admin Panel. 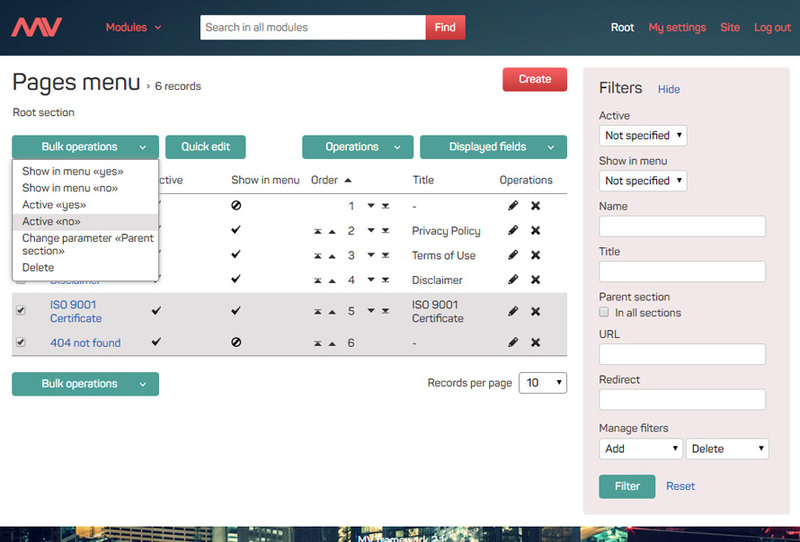 You can create, edit, delete records, and also you will get a sidebar with filters to help you search particular records in long data list. Selecting of template for requested URL is accomplished by Routing. To show model's data on the webpage a template file is being created. In MV framework templates generation is made by PHP itself to guarantee high speed of template processing and page generation. Record object based on ORM principles helps to link model's functions with template of a web page. 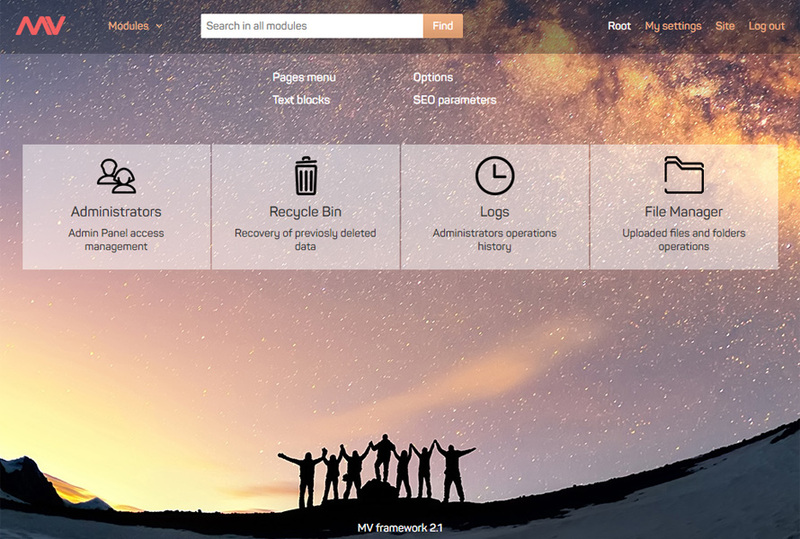 Main idea of MV is to provide a simplified and faster way to create websites and applications with the help of built-in CMF that allows to manage content in Admin Panel.